Reading wise, January was a very average month for me. I read some very good books, but nothing blew my mind like it has in the past, which is unfortunate because a lot of these books had such potential. Even though I said I wasn't going to, I did end up reading mostly review copies. This is good, because it means I'm getting through the giant stack, but I also want to try to balance my reading with my own books as well. Hopefully that will improve in February. Tatum and I reviewed a bunch of books: No One Else Can Have You, Erased, Avalon, Taste of Darkness, Eleanor & Park, And We Stay, White Cat, Bitten, Fugitive X, and Cress. January was also the month that I relaunched my Debut Showcase feature, which had been on hiatus for a while. 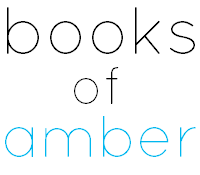 Speaking of relaunching, I also posted my first book haul post in forever. Judith and I hosted Epic Recs, which was once again open for the public. As far as we can tell, everyone has been having a great time, especially Gaby and Lisa, who are so enthusiastic about this project. Love it! 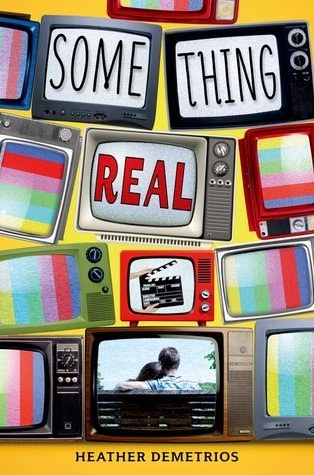 Nothing much happened out in the real world. It's now only six weeks until I visit Dee in Virginia, which is so exciting that I can't handle it. I am currently on a random health kick, and am trying to eat healthily. Well, I'm trying not to snack so much. Healthy is subjective. I watched The Wolf of Wall Street, and it kicked off my intense adoration for Leo DiCaprio again. I kept up with my new year's resolution to comment on other blogs more often - I hope the people that I'm following are appreciating the new me! As you can see, I didn't reach double figures, and I'm definitely not going to since I won't be able to read two more books before midnight. This is a bit disappointing, but I'm determined to pull through in February! You know I said that I was going to be doing things a bit differently this year? 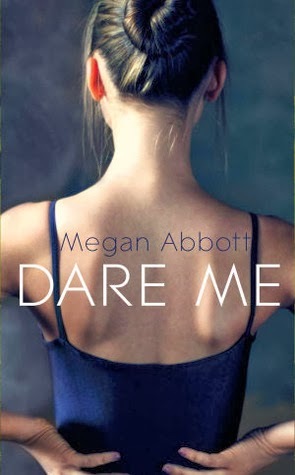 Well, one of the things I'll be doing differently is this Book of the Month section. Of course, I will still be telling you which book was my favourite out of the ones I read. 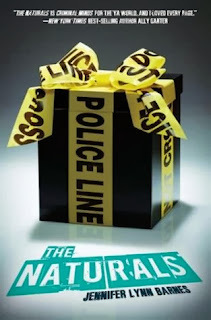 But I will also be giving a copy of that book away! I figured you should all get to experience the epicness that I did. Like I said, January was a pretty average month for me, with nothing I read being absolutely too epic to handle. However, I did very much enjoy quite a few books, which made picking Book of the Month difficult. In the end, I went with Crown of Midnight, due to the fact that it surprised me, I love Celaena, and I got some feels from the ending. I'm hoping to hit the double digits in February, because I always like to read a nice round number. I'm going to be a bit busy, but I hope I can manage it. Here are some of the books that I'm hoping to read, although they're all subject to change if the mood takes me. Coming up in February are more Epic Recs, some interesting discussion posts that I hope you will enjoy, another Debut Showcase, my first Book Club discussion post, and, as always, more reviews! my book of the mont was the first volume in the Locke&Key series! 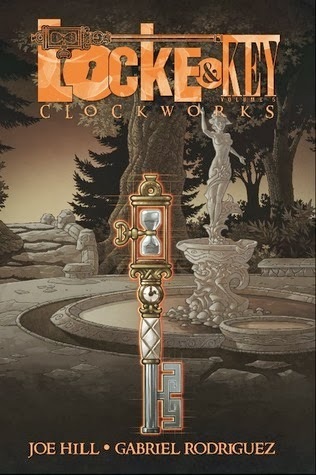 I love Locke & Key! I think the book to the month was Anna and the French Kiss, which I read for Epic Recs, and I extremely enjoyed that one! Good decision! I looooove Anna and the French Kiss, and I definitely wasn't expecting to. I'm starting to become a fan of Leonardo. I wasn't really into him, but his roles lately blow me away! 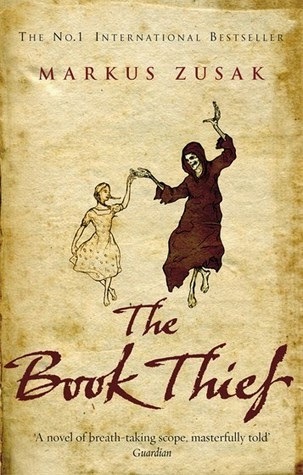 You'll be reading The book thief, how exiting :D Happy reading! Yes, you need to be a Leonardo DiCaprio fan, Mel! Hope you have a better month in February! My favourite book for January was a toss up between Ruby Red and Poison Study! Thank you! I hope so too. YES POISON STUDY IS EPIC. My book of the month was Making Faces by Amy Harmon. Absolutely amazing! I don't think I've heard of this before! I must look it up. Haha it's always difficult! I have to take the Feels Factor into account a lot of the time. Oh, I'm so looking forward to reading Red Rising at some point! I need to get my hands on that book. AHHHHHH, I'm so excited for Split Second, I can't contain myself! Best of luck for February :) I... actually... didn't read any YA/NA books this month. Huh... But I did really enjoy Tangled Web (Deizian Empire, #1) by Crista McHugh. 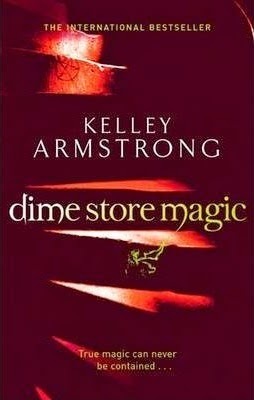 It was a very good fantasy romance (but be warned there is a lot of smexy times!). 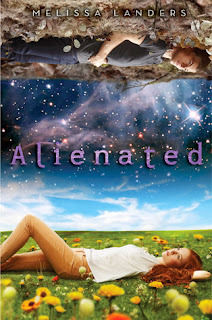 My books of the month were Cynthia Hand's Unearthly series, a very good read. Here's to another month of books! I still need to finish that series as I've only read the first two. I hope it ends well! Great month of reading! 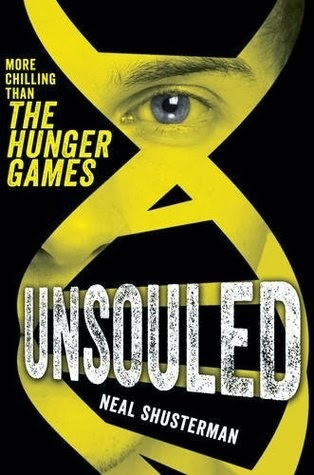 I really hope to get my hands on Uninvited and Panic soon, they both sound really good. I heard Fangirl this month and really enjoyed it, hope you do too! 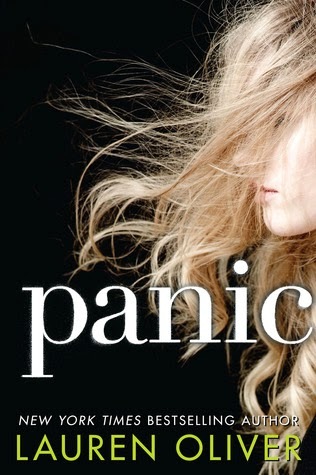 I really enjoyed both Panic and Uninvited, although not as much as I had hoped. I hope you love them! 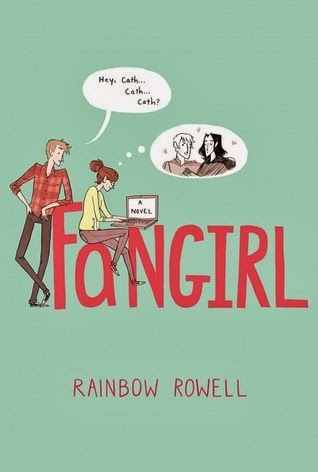 I'm so excited for Fangirl, since I loved Eleanor & Park, and I always love a good fangirl story. You've got some really great books on your list for February- so I think you'll do better in terms of epicness. I just read the Book Thief- Don't read that book in public! It'll rip your soul out! I am pretty excited for Split Second. I loved Pivot Point. Happy Reading and good luck this month! Haha, I hope so! I need more epic reads. I'm so, SO nervous to read The Book Thief, I think I'm going to have to do it over a weekend so I have time to recover. Split Second had better be amazing, I've waited over a year for this! 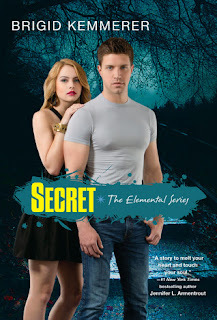 I read a fair few books this month but I think my favourite was The Last Olympian (Percy Jackson and the Olympians, #5), closely followed by Secret (Elementals #5). My book of the month was These Broken Stars. 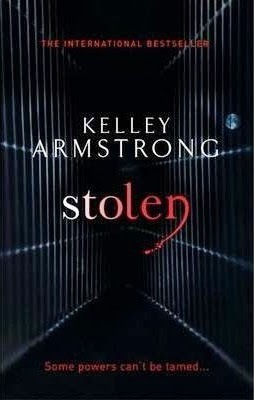 I also mostly read ARCs in January but none of them really blew me away which is a little disappointing. I finished Avalon around 1:00 am and even though I wanted to finish it before, it wasn't gonna happen before midnight like you said. Ha ha. 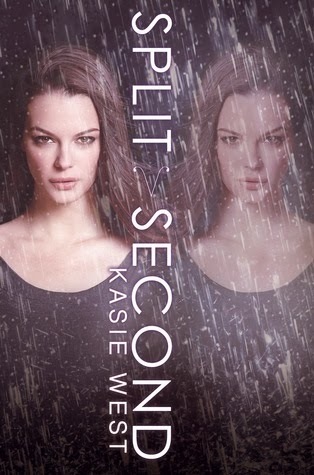 I'm really looking forward to reading Split Second as soon as it comes out. I've high hopes. Bahaha, I finished Monsters of Men at 1AM as well. I was hoping to finish it earlier but unfortunately not. I NEED SPLIT SECOND RIGHT NOW. I always say I'm trying to eat healthily even though I'm just cutting down on some junk food! Ooh, I think I'm definitely going to need to see The Wolf of Wall Street now! I've been considering it, but I think it's a definite now. I'm super excited that you're reading Fangirl & The Book Thief next month! Fangirl is just amazing, and The Book Thief is heartbreaking! <3 And YAY for Split Second! Fingers crossed it's good! Haha yeah, that's pretty much my plan of action. I want to take up running again, but I have the worst cold right now and can barely walk down the street without coughing up a lung. DO IT. It's a really long film, but I think it would have been hard to condense it. I'm suuuuuper excited for Fangirl! I don't expect it to break me like Eleanor & Park did, but I still have high hopes of epicness. I'm going to regret doing Epic Recs with Judith, I just know it. I was super pleased when I saw your comments on my blog recently ... definitely noticing the new you! I, too, can be a bit of a lurker. I see these posts, read 'em and then just forget to come back and comment. In my defense, I do most of my blog reading on my iPad and it's a pain in the @$$ to comment on that device. But when I'm on the computer ... I just forget. So, yeah, there's that. I didn't really read all that much this month, and nothing really stood out like crazy for me, unfortunately. 2014 is off to a bit of a slow start. 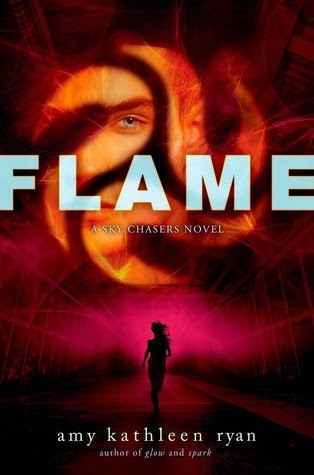 BUT I plan on reading Scarlet next month (I know, I know -- while you sit patiently in the corner), so I'm excited for that, and then Cress AND Ignite Me. February will hopefully be a better month! Hee, I'm glad! I really wanted to show more people the love this year, and I think I'm doing quite well. Lurking is still a bit of a problem though. Sometimes I just don't know what to say! Sorry that you didnt really have any standout books this month. Fingers crossed you adore Fangirl! I've got high hopes for Something Real and Split Second too. 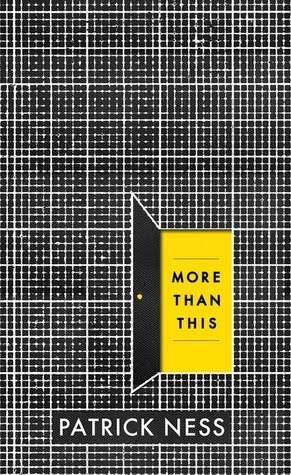 Seeing as I only one book this month, I guess I have to say The Selection wins book of the month. It was a cute girly read, but by no means the best. When I read Throne of Glass, my feelings were like yours, which I'm sad to say because everyone loves it so but I wasn't overly impress. However, I've been hearing Crown of Midnight tops the cake, so hopefully it will redeem itself for me. I just read The Book Thief last month myself! Not my usual kind of read, but am I ever glad I read it. I hope you end up feeling the same! Worth it for the writing alone. 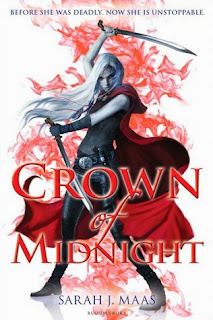 I just purchased Crown of Midnight and am now anxiously awaiting for it to arrive on my doorstep! I seem to recall you weren't too keen on Throne of Glass? So it's great that you ended up loving Crown of Midnight. I know a lot of people don't like Celaena, but I just think she's the cat's pyjamas. Have you read the Throne of Glass prequel novellas? YOU MUST. My book of the month was The Iron King by Julie Kagawa. 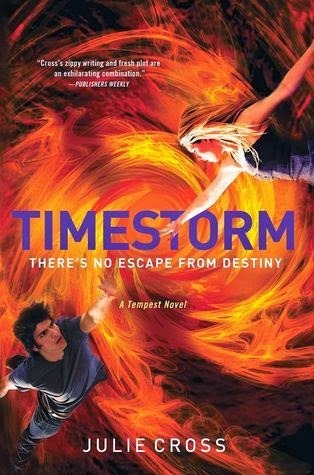 Finally got to read this series and I love it!